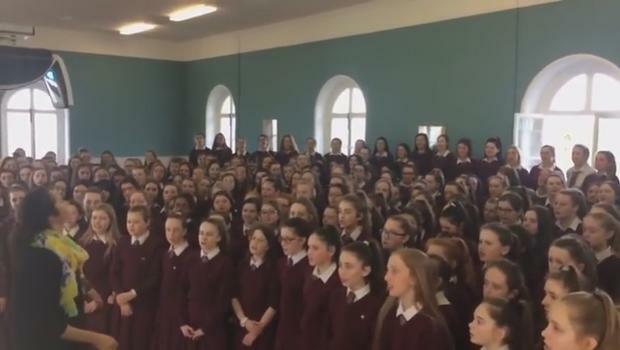 Pupils of Laurel Hill Secondary School in Limerick gathered in the school hall for Seachtain Na Gaeilge 2018 for their rendition of Zombie. The Cranberries track was released in 1994 and became a massive hit for Dolores and the band. The singer, who was from Limerick, would undoubtedly have appreciated this version. Dolores was just 46 when she passed away in London on January 15 and she was laid to rest in her hometown of Ballybricken on January 23.